I was never a die hard Bring Me The Horizon fan like so many of my friends were growing up. However, I cannot deny how great they’ve been every time I’ve seen them live at festivals (Reading/Glastonbury). This time seeing them do their own arena tour was no different. In fact seeing them at their own headline show was bloody fantastic. It was actually a happy accident that I even ended up there, I hadn’t got tickets before it sold out, but a colleague managed to sort some for us to go the day before…! I am SO thankful he did, because they almost blew every artist I’ve ever seen at the O2 out of the water – and in the past I’ve seen the Spice Girls, Beyonce, Gaga & Blink 182 there. Now I’m not saying that they are better musicians than any of the others (before I get any angry tweets), they’re all completely different. But the atmosphere, audience and staging was absolutely phenomenal. No outfit changes, backing dancers, or fancy moving stage, just the largest screen that has apparently ever been used in an arena tour, with totally mesmerising visuals displayed on it, and a 5 piece metal band. I don’t want to give the impression I’ve been a Bring Me The Horizon fan since the beginning and liked them “before they were cool”/a world famous band, etc, because I really haven’t. Sure, in the days of MySpace I knew of them and although I had heard their music/watched their videos – but at the time, the sound wasn’t really for me (I was more of a pop punk Blink 182/Paramore girl!). But, I’ve recently found myself listening to more and more of the band due to the new singles (that have a more mainstream/melodic/poppy vibe than previous albums) from ‘That’s The Spirit’ being added to playlists on Spotify/Radio 1. The songs still have the same fierce attitude, but aren’t quite as heavy in my opinion, so much easier to sing along to (and I bloody love a song I can sing along to)! I think it’s pretty exciting that in a chart full of pop stars singing love ballads and sassy songs to their exes (which don’t get me wrong, I am partial to on occasion), a metal band can break through and not only be played regularly on BBC Radio 1, but also be able to do a UK arena tour – including two dates at the O2 Arena (31st Oct & 5th Nov), and (from what I heard) sell both out! 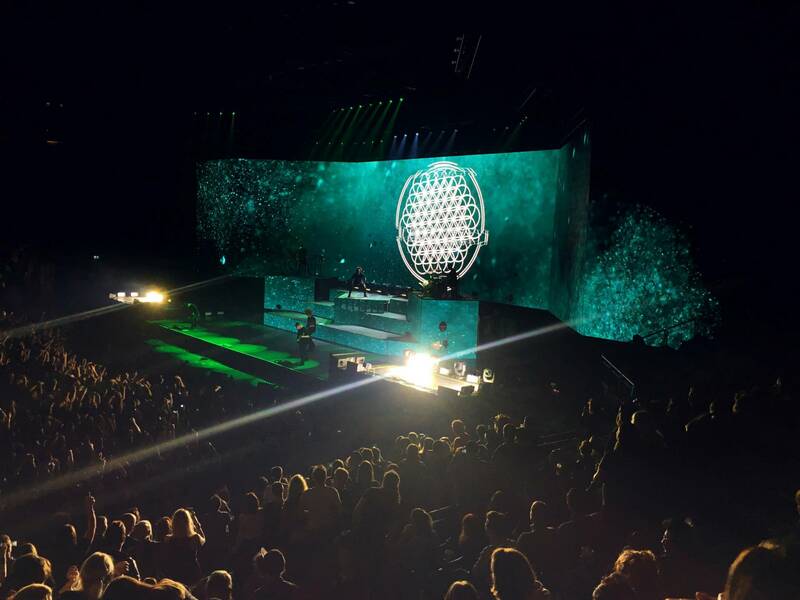 Whether you get you like Bring Me The Horizon’s music, are an Oli Sykes fan, rate Drop Dead (Oli Sykes’ clothing brand), or don’t generally enjoy metal music, once you witness the sheer force of BMTH live, you won’t be able to deny how outstanding they are as performers and musicians. The only way I can put it in to words, is if you can imagine a wall of sound consistently hitting you in the face, but it feels really bloody amazing. I couldn’t not write about a post about this gig, because they were absolutely phenomenal and I felt pretty overwhelmed by it all. 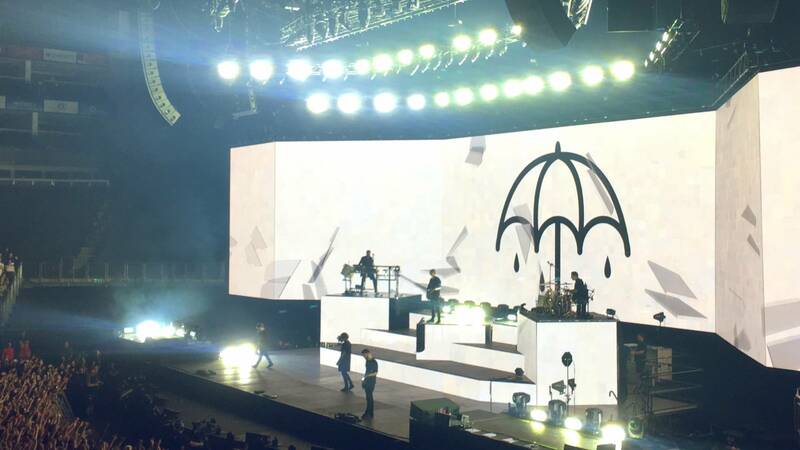 If you ever get the chance to watch BMTH live (especially if you haven’t before) please do. You won’t be disappointed. If you enjoyed this post, you might like reading about the times I saw: Twin Atlantic at hmv live, Panic! At The Disco at Brixton Academy, or Melanie Martinez at Kentish Town Forum. I’ve seen these lot about 7 times now but missed out on this gig and sounds like a good one! The past few times I’ve seen them I’ve felt a little let down by his vocals but they do put on such amazing shows. 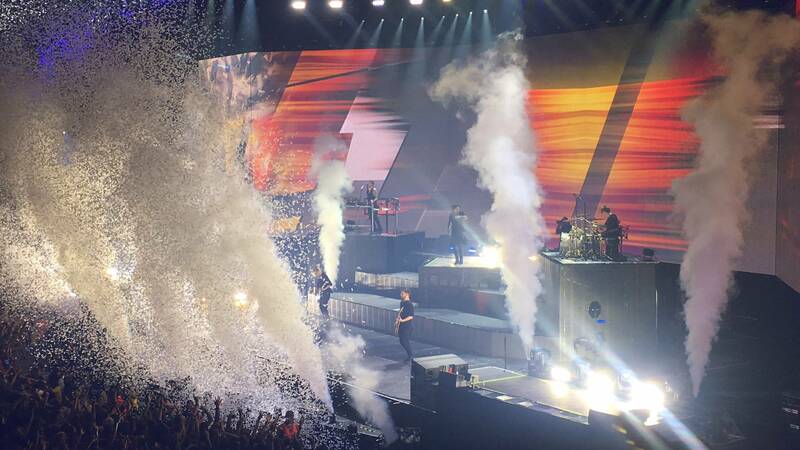 The visuals and crowds are always second to none! This is definitely one of my favourite bands to see live! Glad you had a good time.